Joyce, our friends the Kales, and I spent 10 days in the Grand Tetons and Yellowstone National Parks in late June. This gallery presents pictures from that trip. 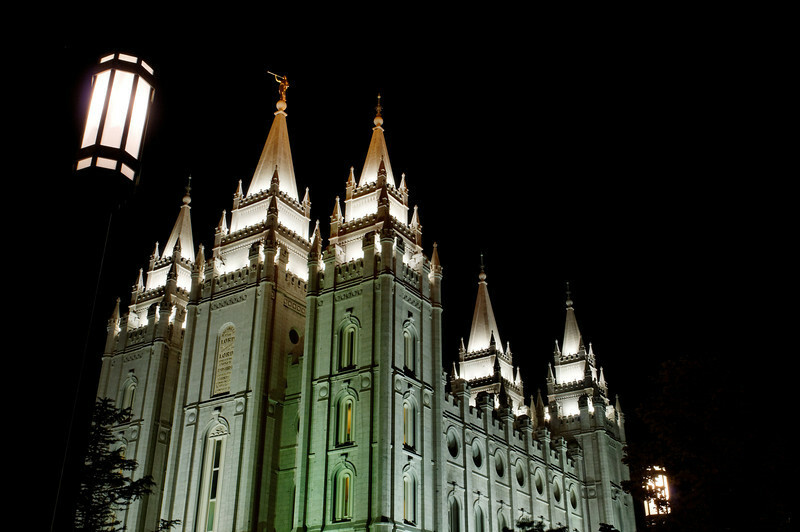 We flew into Salt Lake City and spent an afternoon and night there. We visited Mormon Square, where the Mormon Temple and Tabernacle are located. We were able to sit in on an organ recital and a rehearsal of the Mormon Tabernacle Choir. We then drove to Antelope Island, which is located in the Great Salt Lake, on our way to Bear Lake, Idaho. We spent the night there in the Bluebird Inn, an excellent B&B. The next day we drove up highway 89 to Jackson Hole. Hole here means "valley." We stayed in Teton Village, which is at the foot of the ski slopes. We spent one day on the southern loop at Yellowstone - a HUGE national park. We did not even dent what there is to see there. When we left Teton Village at the end of our trip, we drove to Idaho Falls and then followed the scenic drive to Pocatello, Idaho. What a beautiful area! It is certainly worth the trip. Thanks to professional photographer Paul Martin who gave us a guided tour of the Tetons on our first day in the area.